Fingerprint scanners are quite a new and exciting technology. Not too long ago they were only seen in spy movies to gain access to the highest security buildings. Today we use biometric fingerprint technology in our everyday life whether to log into our smartphones or to clock-on for a shift. 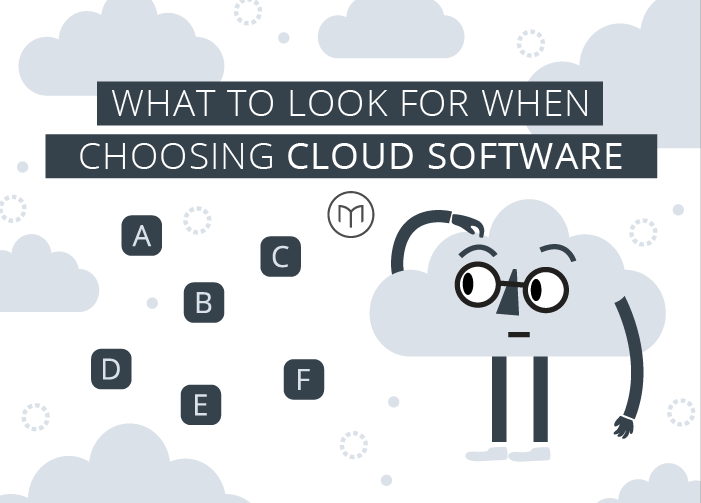 However, like a lot of new technologies, there are often a few unanswered questions. 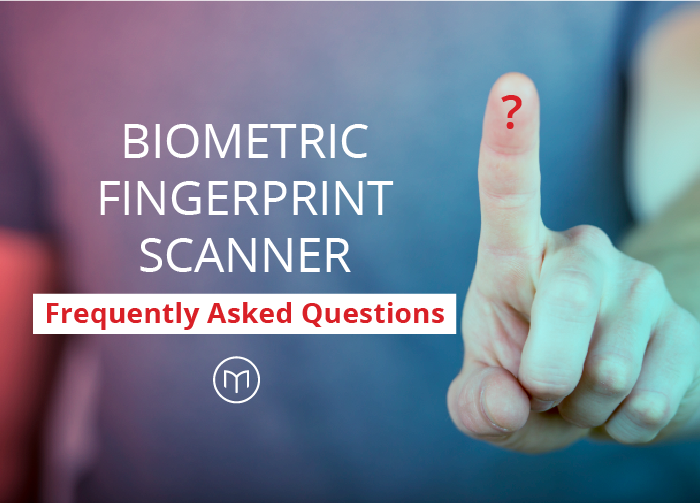 We've taken a look at some of the most frequently asked questions regarding biometric fingerprint technology including a comparison between fingerprint scanners and other time clocking methods to see how they stack up, the pros and cons of fingerprint scanners, how they work, and address common privacy and security queries. 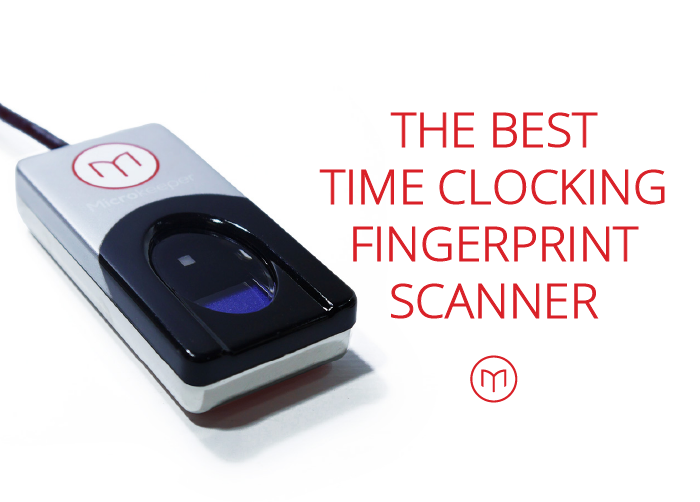 How do fingerprint scanners compare to other time clocking methods? Can fingerprint scanners be hacked? We had a look at fingerprint scanners in comparison to alternative time clocking methods including NFC tag, GPS smartphone, time clocking card and manual entry. 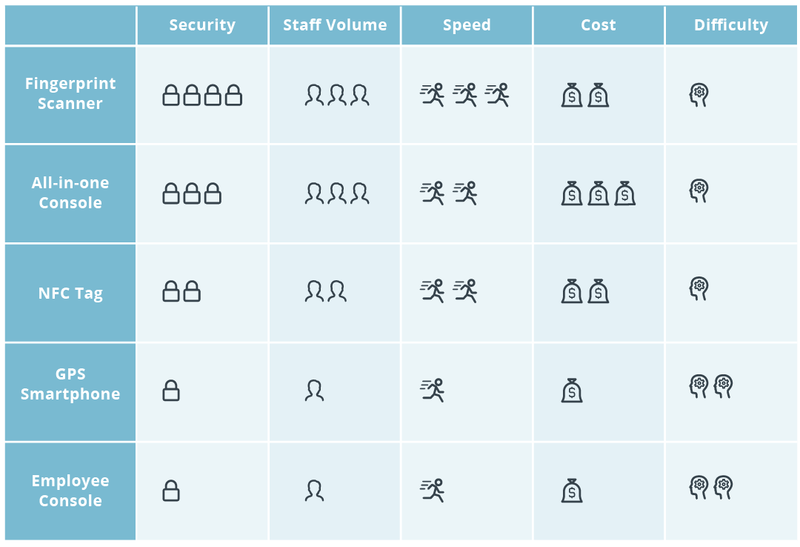 We looked at important characteristics such as security, speed, ease of use and affordability. In our review, we simply looked at the method of capturing time and assumed that an efficient process of integrating into a cloud-based time and attendance processing software is used. Fingerprint scanner time tracking offers a higher degree of security as it is much harder to fake data than traditional pin numbers, passwords and tags. Fingerprint scanners are easy for employees to use and can’t be forgotten or left at home! They are great for larger workplaces as it can process a number of staff members easily and efficiently. Accuracy means less administration required dealing with mistakes or employees with no delay in data transfer. Employee fingerprint data is stored in the ‘cloud’, therefore, if you have multiple sites in your business an employee can clock on anywhere and still be recognised. Fingerprint scanners do require a greater initial monetary investment compared with alternatives. However, this is likely to be a one-off cost considering the durability of the hardware and its ability to withstand constant fingerprint scanning. 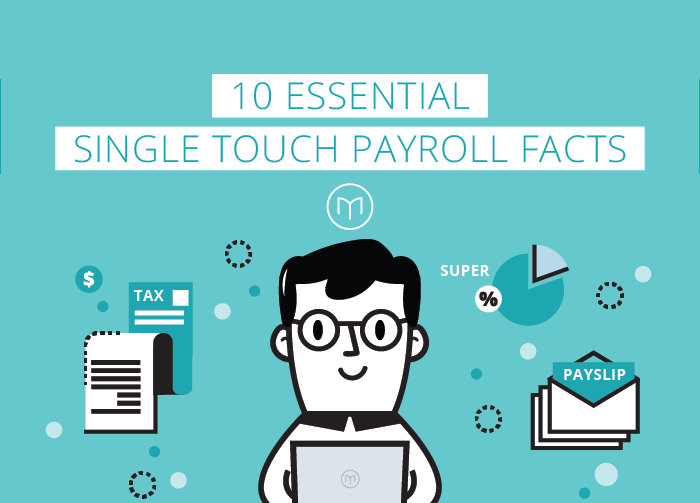 The money saved from no longer having to manually process and collect timesheets quickly outweighs the initial costs of setup. 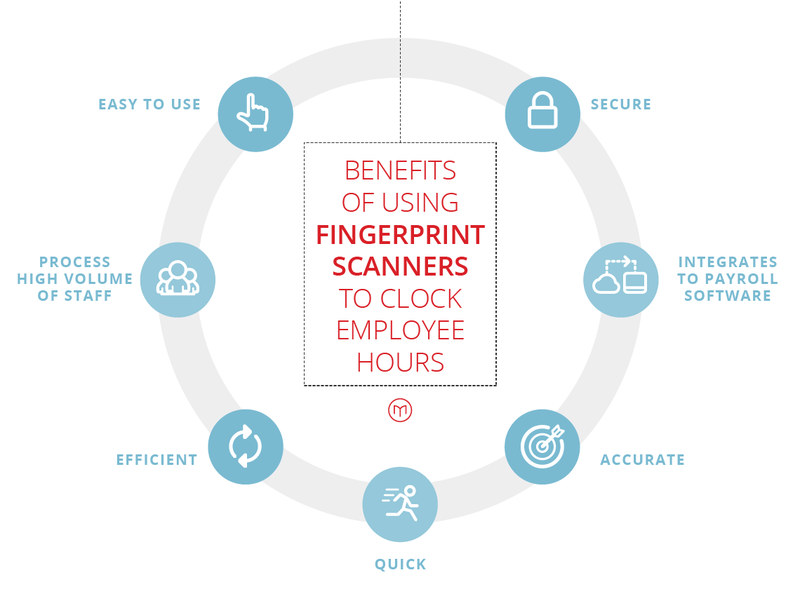 What are the benefits of fingerprint time tracking? Versatile - can have multiple scanners across various locations with all data collated in one system. Let’s get technical...how do fingerprint scanners actually work? Fingerprint scanners are a form of biometric verification. This is a means of identifying an individual based on one or more of their unique biological traits, in this case, fingerprints. Our fingerprint scanners work using an optical fingerprint scanner. This contains a Charge Coupled Device (CCD), the same light sensor system used in a digital camera. After placing your finger flat on the fingerprint reader, the scanner emits its own light source to illuminate all the intricate details of your fingerprint. An image of your fingerprint is captured, notable characteristics are identified and converted into a string of numbers (encryption) and assigned to your username. From then on, the software uses this to identify a user by matching the same sequence of numbers every time you rescan your fingerprint. When first registering your fingerprint you are required to scan your finger three times. When the fingerprint scanner flashes red it has captured the image. This is in order to make sure the data captured is a holistic representation of your fingerprint markers and will be recognised when scanning in the future. No, as you can see in the diagram above there is no actual image of your fingerprint stored. Therefore there is no image of an employee fingerprint on file and no way of reversing the process to create a replica. This is reassuring to those who have concerns about storage of personal information and privacy. Your fingerprints are not stored. The only thing that is stored is a unique code linked to your fingerprint. There is likely to be more personal information on your Facebook profile than what is used for fingerprint recognition. The short answer is yes they can, but, not easily. Perhaps if James Bond had his heart set on breaking into your workplace to clock on for the day, his old friend 'Q' could probably figure out a nifty gadget to fake a fingerprint. However, for your average employee clocking in and out, it is unlikely that they will go to this effort, or have the same resources as James Bond at their disposal. Fingerprint scanners provide a lot more security than traditional methods that are vulnerable to other opportunistic identification methods such as a pin (which can be overlooked, written down and left in the wrong hands or hacked by bots) or time clock cards that can be easily lost, stolen or shared. When you think of it, any security measure can be tricked: it is about making your solution secure enough for someone not to even bother. Overall, fingerprint scanners are far more secure, they are harder to fake, impossible to guess like you can a password, impossible to lose like you can an access card, and, impossible to forget! Fingerprint scanners may seem like the stuff of sci-fi fantasy or spy movies however they are already a common part of the world we live in. They can be found built into your smartphone, to gain security access into buildings and are becoming an increasingly popular solution in the workplace for tracking employee hours. As technology around us evolves our workplaces too must adapt in order to avoid being left behind. Fingerprint scanners offer advantages over traditional manual clocking methods through increased security, accuracy and efficiency. Traditional methods require timely manual data entry and rely heavily on human competency for speed and to avoid mistakes. Talk to a Microkeeper team member today to find out how fingerprint clock on/off can work for your business. Email info@microkeeper.com.au or give us a call on 08 7444 5000 for more information. Visit our online store to see the full range of Microkeeper fingerprint scanner options.